"We are the general contractors in Vancouver, BC providing services in Exterior building repairs, parkade repairs, waterproofing and traffic deck membranes and many more.Our team provides effective solutions to restore your property as quickly as possible. More than anything, we deliver you peace of mind.Contact us for getting good services regarding building repair." Make your building safe and sound by ensuring a sound structural integrity. Say goodbye to moisture laden basements that breed toxic mold. Our professionals give your building a complete structural and aesthetic makeover. What sets AAA Professional Restorations apart? Regardless of if your building has been affected by a leak, has deteriorated concrete, or has been damaged by severe weather, we are here to help. We are Vancouver general contractors offering the most reliable repair and restoration services covering your building from top to bottom. Our services cover complete building solutions for new construction, Renovations and upgrades. Cracked/bulging walls or caulking issues, we have a solution. For general contractor services in Vancouver area, call Today! Our team understands how concrete deteriorates over time from exposure to weather, water, changes in temperature and other elements. It leads to to cracks, chipping, and breaking. 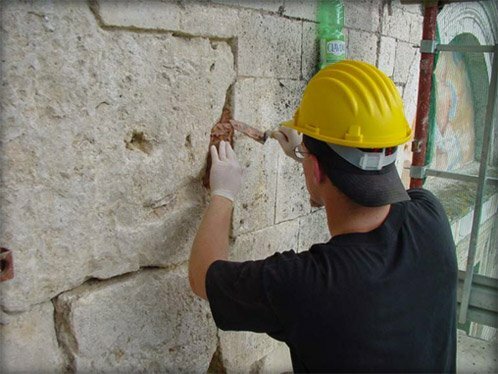 AAA Professional Restorations is one of the leading waterproofing and concrete restoration companies in Vancouver, BC.Our repair and restoration services can be availed for just about any building, structure and parking garage. We have regularly got positive reviews of General Contractors companies in Vancouver.